Darren Elkind has been practicing law in Volusia County since 1995. He is amongst a select group of lawyers in the state that are board certified by the Florida Bar as specialists in the areas of both civil trial law and city, county and local government law. Additionally, the National Board of Trial Advocacy has recognized his trial experience by certifying Mr. Elkind as a civil trial advocate. Mr. Elkind's litigation practice is uniquely focused on personal injury and commercial disputes as well as land use and local government disputes. Mr. Elkind also represents clients in administrative proceedings before state and local agencies in matters ranging from licensing to environmental compliance. 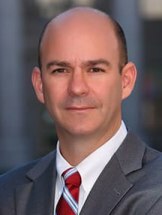 His recognized expertise in both civil trial law and local government law makes him uniquely well suited to litigate matters involving local governments, land use and regulatory issues. Mr. Elkind serves as City Attorney for the City of DeLand and as a special magistrate for the City of Sanford's code enforcement proceedings. Mr. Elkind represents land owners and developers throughout Volusia County in every phase of the land development process, and represents individuals, businesses and governmental entities in permitting and regulatory matters. Mr. Elkind also contributes time to the community, currently serving as Community Service Director of the DeBary/Deltona/Orange City Rotary Club, as a Director of the Volusia Flagler Family YMCA, and as an adjunct professor of Ethics and Law at Stetson University.